Two files in one equals "Times-2." Stand in front of a 3, 4, 5, 6, 7, or 8-tier Times 2. Rotate the file and within three seconds another complete file is in front of you. Thats "Speed Filing." The rotating design of Times-2 allows dual access to your documents from one or both sides. 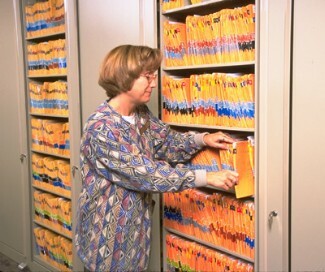 Other filing systems simply can't match the flexibility of Times-2. Times Two Rotary Files are available under GSA contract. Please fill out our feedback form for more information. Times-2 Speed Files are designed to expand when your storage needs have reached capacity. Additional add-on units can be attached anytime. Times-2 units can be built into an alcove, used as a room divider, configured back-to-back for maximum capacity or arranged with panel systems of any height. Times-2 can even be positioned through a wall or panel, and closed backs can be applied for high security areas. Outstanding versatility is another reason why Times-2 Speed Files are slowly but surely replacing other types of file cabinets. With just a quarter turn, Times-2 Speed Files are fully closed and securely locked. There are Times-2 units for letter, legal EDP and A4 sides. Start as low as a 3-tier and go all the way up to 8-tier. Choose from an unlimited palette of paint finishes. 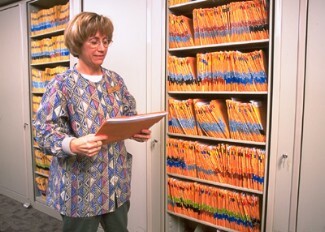 Rollout Drawer with End Supports- Provides fast and easy access to end-tab, color coded patient records. Rollout Reference Shelf- The 5-, 6-, 7-, and 8-Tier models accept the Rollout Reference Shelf with no loss of filing inches when used with standard shelves. Security Drawer- Confidential documents stay safe and secure. The drawer features double bitted key lock, recessed drawer front, and Accuride suspensions. Rollout Drawer with Hanging Folder Frame- Times-2 will handle all of your hanging folder requirements. 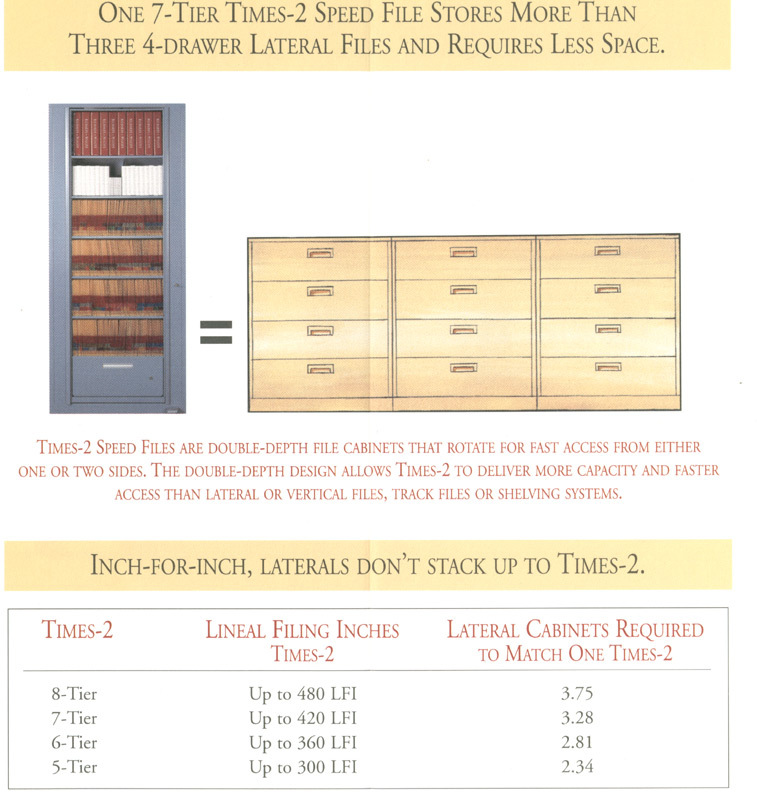 Drawers can be stacked (1) per tier for complete hanging folder storage. Rollout CD-ROM, Card, or Check Drawer- Drawer Front and Back are slotted every 1/2" for adjustability. Drawer Divider runs the full front-to-back length. 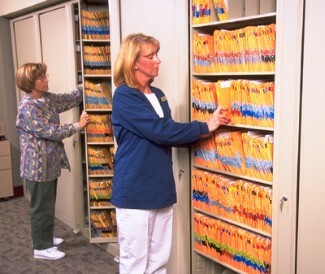 Adjustable slotted drawers allows for easy storage of either CD-ROM or videotapes. Microfilm, Microfiche, or Index Cards- This low profile drawer can be adjusted to store a variety of valuable patient and business records as well as office supplies.